Have you ever landed on a website for the first time and within seconds you knew you weren’t going to buy anything? You can’t put your finger on it – it might be the poor-quality design, shoddy product images, or the absence of any reviews – but for some reason, you’re uncertain and distrustful. If the answer to that question is “yes”, then you know first-hand the importance of building trust in ecommerce. According to some statistics around 8% of all product page traffic converts to sales. Other research shows that ecommerce “add-to-basket” rates hover around 10% of all site traffic. At Growcode, we’ve found that figure to be slightly lower, usually around the 5% to 7% mark. The truth is that product page is one of the most important page templates as 43.8% of all traffic includes at least a single view of this page type. At Growcode, we’ve found that product details pages (also mobile product detail pages) can almost always be improved by making small tweaks, whether it’s by building product page urgency, highlighting special offers and discounts or, as is the focus of this article, dispelling doubts. The simple truth is that many online retailers are leaving easy sales on the table by omitting important trust-building elements on their product detail pages. So let’s look at some practical tips that will eradicate hesitancy, put your visitors at ease, and guide them to that all-important “Add to Cart” button on product page. It’s difficult to understate the importance of images. As an ecommerce retailer, you likely already know this. But are you providing the right kind of images? Poor quality images instantly make you look unprofessional. Images can also dramatically boost your conversions if you use them in the right way. Remember that visitors shop with their eyes! High-resolution images that show small details – Mirror an in-store experience by allowing visitors to check all product details. Enlarge and zoom features on images – 70% of online buyers rank the ability to zoom on images as a top priority. Multiple images from numerous angles – As a general rule, it’s better to have more images than less. Capture as many angles as possible to give visitors a complete sense of the product. Images that highlight important features, like the soles of shoes – The most important features of products – like the soles of shoes or keyboards on laptops – are where the preponderance of uncertainty lies. Allow your visitors to double-check these crucial features by providing dedicated images. A good approach to take with images is to keep the following question at the forefront of your mind: “What information are visitors looking for?” If you work from that starting point, you’re unlikely to make any major errors. Answers will be different depending on the category – buyers of shoes, for example, will be interested in laces and soles, whereas those interested in jewellery will want to see the nuances of the design. This question will also help you determine which additional descriptions to add to images, such as the size of models. Zappos include high-resolution, zoomable images on their product detail pages. Many are also of specific important features. Offering payment plans will help to get rid of any indecisiveness visitors feel about paying for high-ticket items all at once. Similarly, price guarantees will eradicate any doubt about getting a better deal elsewhere. Through the “Price Match Guarantee”, Best Buy offers to match the price of all local retail competitors and many major online retailers if a customer is able to find a lower price. A clear link to your returns policy. GiffGaff offers a generous 24-month payment option. Buyers who don’t want to part with the full amount will likely be much happier with a small monthly payment plan. Many site-wide elements, like headers, logos, and sidebars, will be present on all your product pages, so it’s important to tailor these to raise confidence and build trust too. Just a few elements added to this prime space can have a big impact, so don’t leave it empty! The date the company was founded – Even if an ecommerce site was only established recently, a date underneath your logo or in your sidebar can still have a trust-building effect. Government or professional endorsements – Any official endorsements, licenses or certificates – like the Royal Warrants displayed by Fortnum & Mason below – will communicate authority, thus building trust. Awards – A sidebar is a good place for any awards from other sites or organizations. “Contact Us” link and phone number – Including a phone number, along with a link to customer service, communicates professionalism. Only a “real business” is likely to do this, or so the thinking goes. Address – Visitors like to know that a company has a physical location, especially if it’s in a well-known area like a city. Fortnum & Mason include images of two “Royal Warrants” and their date of founding. One source of indecisiveness among visitors is uncertainty about key product details and general terms. Customers often want information about delivery times and costs, the returns process, the opinions of other buyers (reviews), and important technical information to eliminate doubts to the minimum. Technical product details – This includes, for example, sizes, specs for electronic products and ingredients. Delivery times and cost – If you offer free or next-day delivery, let visitors know! Returns policy – This is usually best done in the form of a clear link. Reviews – Include customer reviews on the product page, preferably with an average review rating near to the product image. Simply Hike makes all key information available and accessible from one simple area on the product page. You never want a visitor to think: “I’m not sure if this product is in the sale” or “Does that discount apply to this item”? If items are on sale, or if you offer any special discounts, shout it from the rooftops! Leave your visitors in no doubt. Include general discount information, like free-shipping or student discounts, near the header. Sale prices and discounts should be located near to your main CTA. Special promotions for students, children, elderly people etc. Forever 21 highlight two offers – “Free Delivery on All Orders 60 euros & Over” AND “10% Student Discount All Year Round” – in the header area. They also re-emphasize the second offer underneath the “Add to Cart” button. Whenever somebody lands on your site, they take in dozens of micro-impressions, quickly forming a judgment about its trustworthiness. It’s like the “three-second rule”, just applied to ecommerce. Use a trust-building color scheme – A great deal of research has been done in this area. Blue for calm, purple for luxury. Simplify your layouts – Utilize a minimal, easy-to-view grid layout. Ensure mobile-responsiveness – One of the biggest signs of amateurishness is a site that doesn’t render well on mobile (check out how to improve your mobile ecommerce checkout). Numerous case studies have shown that adding social proof on product detail pages positively impacts conversions. You can take either a site-wide approach – displaying the number of Facebook or Instagram followers in your sidebar, for example – or a page-specific one. Include a star rating of the average review score near the top of the page. Showcase Instagram photos on your product pages. Add social media badges (showing the number of followers) to your sidebar. Include pictures of reviewers alongside testimonials. Add a “Verified Reviewer” seal next to reviewers that have definitely bought a product. Show the number of recent buyers. Vanity Planet experienced a 24% increase in checkouts after adding customer-generated Instagram photographs to one of its product pages. One of the biggest problems faced by online retailers is the preference of shoppers to handle products. Many product page elements – like high-resolution, zoomable images, in-depth descriptions and specific size specs (for clothes) – are aimed at overcoming this problem. But it’s also possible to give customers even more of a hands-on demonstration of items. Wherever possible, let visitors “test-drive” products. This won’t be possible for every type of item, but it will be for some. Let people read books – This is what Amazon does with its “Look Inside” feature. Provide options to listen to audio – If you’re selling music, audiobooks, or even physical items with an audio element (like Alexa), give the option to play a section. Allow visitors to personalize items – Can visitors add personalized features to products, like previewing images in picture frames? Show videos of products in action – If possible, add a video demonstration of the product along with images. Let customers “sample” multiple products – If possible, it’s a good idea to let customers select multiple products to sample at home for a short period, before sending the ones they don’t want back to you. This is what Warby Parker with their “Home Try-On” programme for spectacle frames. 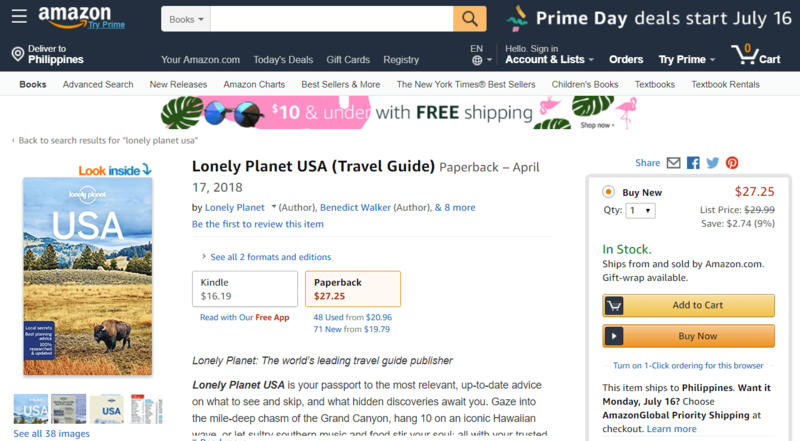 Amazon’s “Look Inside” lets customers flick through a book as they would in a store. Payment badges – Icons of payment options, like Paypal and Visa, can be placed underneath the “Add to Cart” button. Security seal – Seals that show your site and payment gateway are secure, like “Norton Secured”, will help build trust. 24/7 support – Include a link to 24/7 support near your CTA. GothRider includes multiple payment processor icons and a “Norton Secured” seal. Conclusion: Building a highly-converting product page is all about the small things! Product pages optimization involves making lots of small tweaks. It’s much more a matter of many little changes and additions than it is of making huge overhauls. That’s why it’s important to commit to testing a large number of different variants over the long-term. At Growcode, we’ve found this to be far and away the best approach. It gives online retailers the freedom to test new ideas and tweaks without having to worry about redesigning their entire site. It also enables them to quickly find their winning mix of trust-building elements and continue to improve results going forward. Well, isn’t that why we’ve created the 1st solution for IT-free Ecommerce Optimization to enable online retailers to do just that? Now, time to go and get that security seal! 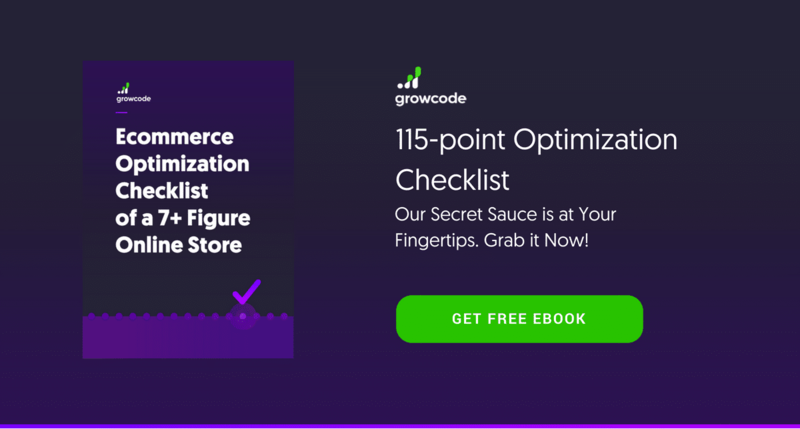 Download our 115-point ecommerce optimization checklist for 7+ figure online stores. Use it to enhance every part of your store, from the home page to the check-out forms.